Haq's Musings: Trump's Afghan Strategy: Will Pakistan Yield to US Pressure? Trump's Afghan Strategy: Will Pakistan Yield to US Pressure? Announcing the new US strategy on Afghanistan this week, President Donald Trump singled out "valued partner" Pakistan for increased American pressure to act against "agents of chaos" such as the Afghan Taliban and the Haqqani Network who attack American service members and officials. Trump said this "will have to change, and that will change immediately." He also sought India's help in Afghanistan while ignoring the increased Iranian and Russian involvement in helping the Afghan Taliban. Pakistan is much less reliant on US assistance now than it was when the above statements were made. If anything, the Trump administration has less leverage with Pakistan today than its predecessors did back in 1990s and 2000s. While Trump is singling out Pakistan as the main culprit for US failures in Afghanistan, the ground reality has substantially changed with the emergence of ISIS and increased Iranian and Russian involvement in helping the Afghan Taliban. Both see the Afghan Taliban as allies in fighting their common enemy ISIS in Afghanistan. Russia's Ambassador at large for Afghanistan Zamir Kabulov has described the Afghan Taliban as a “predominantly a national military-political movement”. “It is local, Afghanistan-based. They believe that they should have, from their perspective, fair share in the government of Afghanistan…They should talk and deal in their local context”. But Daesh (ISIS) “as an international organization is really dangerous”. “If you recall, young Taliban under the influence of Al-Qaeda in 1994, their rhetoric was very similar to today’s Daesh rhetoric”. 1. Moscow now believes that the presence of ISIS (Daesh) in Afghanistan is a much bigger threat to Russia's soft underbelly in the former Soviet republics of Central Asia. 2. The Afghan Taliban are an effective force to check the growth and spread of ISIS in Central and South Asian nations. 3. Pakistan's cooperation is critical to help defeat ISIS in the region. President Trump's Afghan strategy of partnering with India will further alienate Pakistan and make its cooperation with US less likely. Why? Because Pakistan believes that India is using Afghanistan to attack Pakistan, an allegation confirmed as fact by former US Defense Secretary Chuck Hagel who said in 2011 that "India has always used Afghanistan as a second front against Pakistan. India has over the years been financing problems in Pakistan". General David Petraeus, former CIA director and commander of US troops in Afghanistan, has said there is no evidence of Pakistan playing a double game and supporting terrorists in Afghanistan. He was answering a question posed to him at a presentation at Royal United Services Institute (RUSI), a British security think tank based in London. Gen Petraeus did acknowledge that "there's communication between the ISI and various militant groups in FATA and Balochistan (Haqqanis, Taliban, Islamic Movement of Uzbekistan, etc) but some of it you'd do anyway as an intelligence service." He added that "there may be some degree of accommodation that is forced on them (Pakistanis) because of the limits of their (Pakistan's) forces." A hasty US exit from Afghanistan is not imminent. The United States needs Pakistan to help stabilize Afghanistan. But how can this be achieved? Can increased US pressure on Pakistan elicit cooperation? Can US partnership with India do the trick? In my view, neither will work. What will work is an understanding of Pakistan's legitimate concerns in Afghanistan. What are Pakistan's legitimate interests in Afghanistan? The answer is: Pakistan's national security interest in stopping the use of the Afghan territory to launch attacks against it. 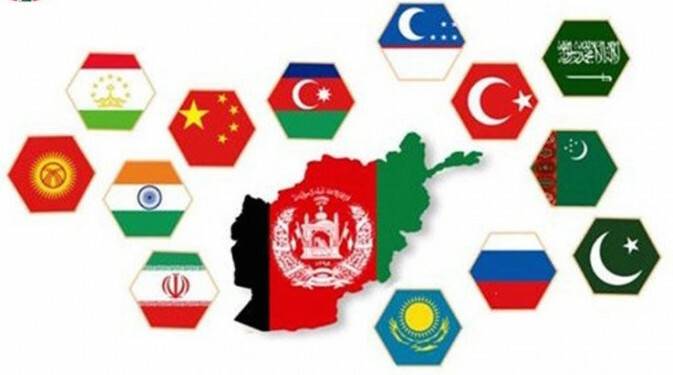 Any solution to the Afghan problem has to include firm guarantees that India or any other country will be denied the use of Afghan territory and various militant groups to destabilize Pakistan. The US must understand there can be no stability in Afghanistan if Pakistan feels insecure. The US also needs to acknowledge that an unstable nuclear-armed Pakistan will pose a far bigger threat than any threat emanating from Afghanistan. Trump's new Afghan strategy of increasing troop levels and ratcheting up the pressure on Pakistan will not work as long as Pakistan sees its vital national security interests threatened by India's proxy war being waged against it from the Afghan soil. Any solution to the Afghan problem must be regional. It has to include firm guarantees that India or any other country will be denied the use of Afghan territory to destabilize Pakistan. The US must understand there can be no stability in Afghanistan if Pakistan feels insecure. The US also needs to acknowledge that an unstable nuclear-armed Pakistan will pose a far bigger threat than any threat emanating from Afghanistan. Why is India Sponsoring Terror in Pakistan? Husain Haqqani Advising Trump on Pakistan Policy? Good analysis, RH Sb...with a few disagreements, of course. The main concern being the Pakistani Deep State's involvement in making the state foreign policy, and condoning groups aligned with that arcane strategy. Ali: "The main concern being the Pakistani Deep State's involvement in making the state foreign policy, and condoning groups aligned with that arcane strategy." Have you seen the military takeover of the White House? IN his speech outlining the new US Afghan strategy, Trump himself acknowledged yielding to the generals over his own instincts. British Afghan war veteran Major Robert Gallimore says he saw no presence of ISI in Afghanistan. During his two tours of duty in Afghanistan, he could hear all the radio conversations going on but never heard any Pakistani accent. He did, however, see "buckets and buckets of money" and rising Indian influence with many in Afghanistan blaming Pakistan for all their problems. Pakistan is their bogeyman. Major Gallimore sees the emergence of an India-Pakistan "Great Game" similar to its British-Russian predecessor. Many Afghans support creation of Pashtunistan by annexing northern part of Pakistan into Afghanistan. They blame Pakistan for the Durand Line, not the British or their own leaders who agreed to it. Pakistan's $100B deal with China: What does it amount to? When USAID got the letter in 2016, they suspected that Pakistan had found funding with the Chinese. They were right. In May 2017 Pakistan and China signed a $50 billion agreement that included full funding for Diamer Basha and four other dams. Although enormous, the new agreement hardly merited coverage in Pakistan. China already captured headlines and public imagination in 2013 when the two countries signed memorandums of understanding worth $46 billion to build the China-Pakistan Economic Corridor. CPEC has since quietly grown to a $62 billion investment. The latest $50 billion in memorandums now brings Chinese loans and investments in Pakistan to well over $100 billion. A senior member of the CPEC team at Pakistan’s Ministry for Planning, Development, and Reform predicts that figure will ultimately grow to $150 billion. If the dams face cost overruns — which are 96 percent on average — then that will be a conservative estimate. roads and rail are actually a small part of Chinese money in Pakistan — less than $11 billion of the original $46 billion agreement. It’s small because, contrary to popular perceptions, much of the CPEC route is actually financed by Pakistan. “Much of the roads being built are being built by our money,” says Miftah Ismail, who was Pakistan’s minister for investment until late last month, when the cabinet was dissolved because the Supreme Court voted to remove the prime minister on grounds of corruption. What Ismail estimates Pakistan will take on in Chinese projects this year — $4 billion in loans and investments — equals what the Pakistani federal and provincial governments have allocated for roads and highways in their own annual budgets. China is also financing the expansion and improvement of Pakistan’s neglected railway system, doubling its speed from 60 to 120 kilometers per hour. CPEC roads will connect landlocked Xinjiang province in western China through a new port city that it is building on Pakistan’s coast, Gwadar. China needs these roads to transport goods out, but it is hard to think of what will go in the other direction. China’s exports to Pakistan account for two-thirds of Pakistan’s trade deficit. What you mention is an oft repeated yet tired Pakistani narrative that has become irrelevant. That Mujaheddin soldier would be about 60 years old today. After that war ended, the Soviet Union collapsed, the Cold War became non-contentious, new nations were formed, nations diplomatically realigned and a new order began but what did Pakistan do? Pakistan didn't disband the mujaheddin as what most countries would normally do with mercenaries. Instead, Pakistani Military used the Mujahid-madarsa infrastructure to further it's eternal goal and infiltrated Indian Kashmir and created Taliban in Afghanistan to counter India aligned Norther Alliance. Most of the terror based infrastructure was initiated then and has been funded ever since. These terror based mercenaries have spawned and splintered but only the ones that attack Pakistan are game. The rest get support from ISI. Pakistan on Thursday responded to Washington's accusation that it shelters the Afghan Taliban by saying the U.S. military itself is failing to eliminate militant sanctuaries inside Afghanistan. The rare reaction came in a policy statement issued by the office of Prime Minister Shahid Khaqan Abbasi after a meeting of the civilian and military leadership. President Donald Trump has accused Pakistan of harbouring "agents of chaos" and providing safe havens to militant groups waging an insurgency against a U.S.-backed government in Kabul. Islamabad, he said, must quickly change tack. Pakistan, however, saw things differently. "We would like to see effective and immediate U.S. military efforts to eliminate sanctuaries harbouring terrorists and miscreants on Afghan soil, including those responsible for fomenting terror in Pakistan," the Prime Minister's office said in a statement, one of the strongest ever responses to Washington. The Afghan war cannot be fought in Pakistan, it said. The statement referred not only to the Afghan Taliban, but also the loosely affiliated Pakistani Taliban that Islamabad contends uses sanctuaries inside Afghanistan to plan attacks on Pakistani soil. White House officials have threatened cuts in aid and military support, as well as other measures to force nuclear-armed Pakistan's hand and bring about an end to the 16-year-war. Pakistan's Foreign Minister Khawaja Asif said Washington should not use Pakistan as a "scapegoat" for its failures in America's longest running war. Pakistan denies harbouring militants. The military, which has ruled the country for over half its 70-year history, calls the shots on key parts of Pakistan's foreign policy, including ties with the United States, Afghanistan and arch-foe India. The prime minister's office said Washington's claims it had paid billions of dollars in aid to Pakistan were misleading. Payments to Pakistan since 2001 accounted for only part of the cost of ground facilities and air corridors used by the U.S. for operations in Afghanistan, it said. Pakistani officials bristle at what they say is a lack of respect by Washington for the country's sacrifices in the war against militancy and its successes against groups like al Qaeda, Islamic State or the Pakistani Taliban. Pakistan estimates there have been 70,000 casualties in militant attacks, including 17,000 killed, since it joined the U.S. "war on terrorism" after the Sept. 11, 2001, attacks on the United States. "We feel the American administration led by Mr Trump has been totally one sided, unfair to Pakistan and does not appreciate and recognise Pakistan has been a pivotal player," Senator Mushahid Hussain, chairman of the senate defence committee, told Reuters on Thursday. Some analysts have suggested putting greater pressure on Pakistan risks driving Islamabad deeper into the arms of China, its northern neighbour which is investing nearly $60 billion in infrastructure projects as part of its Belt and Road initiative. The relationship between the two countries has endured periods of extreme strain in recent years, especially after al Qaeda leader Osama bin Laden was found and killed by U.S. special forces in Pakistan in a 2011 raid. There are at most 2000 to 3,000 Haqqani insurgents that Pakistan is being accused of harboring. The facts is Pakistan is a scapegoat for the failure of 150,000 NATO troops including 100,000 US troops in Afghanistan. Pakistan can do without US aid that has been extremely costly in terms of human and economic losses to the country. A leading expert on Afghanistan policy, Barnett Rubin, who has advised the United Nations and the U.S. government, explains the problem as he sees it. “The Afghan state cannot exist without outside help,” he told me. “It cannot pay its bills without the U.S. government. It cannot have a stable society without Pakistan’s help. It cannot grow economically without trade and transit with Iran.” Referring to reports that Afghanistan is endowed with nearly $1 trillion in mineral resources, he observed, “I’m sure the moon has even more mineral wealth, but you need a way to get it out to markets. And for that, you need friendly neighbors.” Rubin believes that Trump’s approach is doomed because it seems utterly unilateral, willfully oblivious to the interests of the other powers in the region, especially Russia, China and Iran. Trump’s remarks on Pakistan were seen by many as a strong break from the previous administration, but people appear to have forgotten the unusually blunt testimony that Adm. Mike Mullen, then chairman of the Joint Chiefs of Staff, gave to Congress in 2011. He called the Haqqani network, one of the most dangerous terrorist groups in Afghanistan, “a veritable arm of Pakistan’s Inter-Services Intelligence agency.” That same year, then-Secretary of State Hillary Clinton and then-CIA Director David Petraeus both went to Pakistan to, in Clinton’s words, “push the Pakistanis very hard” to end their support for militant groups in Afghanistan. That was one in a series of actions that outraged the Pakistanis, causing them to shut down supply routes to U.S.-led forces in Afghanistan for seven months. Meanwhile, the Trump administration has doubled down on more of the same. More money, bombs, troops, pressure on Pakistan and tough love for the Afghans. It is a tactical approach, designed by generals, to ensure that they do not lose. But it does not even pretend to contain a strategy to win. In other words, half a century later, at a lower human cost, the United States has replicated its strategy in Vietnam. Call it quagmire-lite. Abbasi said while his government supports the fight against terrorists it won’t let the war in neighboring Afghanistan -- the countries share a 2,500-kilometer (1,550 miles) border -- spill into Pakistan. As a result, if Pakistan comes under real pressure, China will probably be willing to extend forms of economic support and political protection it would previously have balked at. A version of this already played out in 2015, when Pakistan was being pushed by the Saudis and the UAE to play a significant role in the military campaign in Yemen. Chinese economic reassurances helped Pakistan to resist the entreaties and financial threats. China has also given stronger political cover to Pakistan in international forums. At the lowest ebb of the last annus horribilis for US-Pakistan ties in 2011, soon after the special forces raid that killed Osama bin Laden in Abbottabad, Pakistan brandished the China card: if relations with Washington were going into a tailspin, Islamabad would turn to Beijing instead. They were rebuffed. China discreetly made it clear to both the United States and Pakistan that the “all-weather friendship” was already as deep as they wanted it to be and that Islamabad needed to focus on fixing its relations with Washington. With President Donald Trump’s announcement that the new US South Asia strategy will involve tightening the screws on Pakistan if it doesn’t address militant safe havens within its borders, the early indications are that the China card will be played again. This time, however, Pakistan may have more luck. The relationship with Beijing is in a very different place now and while China will take its usual care not to get caught in the middle, it is likely to provide a stronger backdrop of support than it did the last time US-Pakistan tensions escalated. Some things haven’t changed. While it might seem that Beijing would see any deterioration of Islamabad’s ties with Washington as an opportunity to exploit, China has long perceived greater advantage in a robust US-Pakistan relationship. Given Pakistan’s most important role for China has been as a counterbalance to India, it wants Islamabad to benefit from solid US economic and military support. Healthy ties with Washington are seen by Beijing to place implicit limits on the scope of US-India relations. They also ensure that Pakistan doesn’t turn into yet another point of tension in US-China relations or act as an impediment to Sino-Pakistani security ties. In addition to the fact that China’s once negligible economic interests in Pakistan have grown to the tune of tens of billions of dollars in investment, there is a political premium to making CPEC a success. CPEC is also bound up in a deeper Chinese strategic commitment to Pakistan. As the People’s Liberation Army looks to expand its global power projection capabilities, it is strengthening ties with partners in areas ranging from naval cooperation to counterterrorism. In the last two years, the security relationship with Pakistani has been held up as a model to follow in this regard. Pakistan has called off three high-level meetings with Washington, as experts warn that President Donald Trump’s new Afghanistan policy risks driving Islamabad closer towards Beijing. Alice Wells, acting assistant secretary of state, and Lisa Curtis, who serves on the National Security Council, were due to visit Pakistan this week as the US looks to explain its new position to the key players in the region. But Islamabad has indefinitely postponed both meetings, as well as a planned trip to the US by its foreign minister Khawaja Asif, in response to Mr Trump’s announcement last week that he intends to keep US troops in Afghanistan and accusing Pakistan of harbouring terrorists. On Monday morning the US state department was still saying that the Pakistan visit was part of Ms Curtis’s three-country tour of the region but later confirmed it had been cancelled. “At the request of the government of Pakistan, that trip has been postponed until a mutually convenient time,” a state department spokesperson said. Mr Trump had called on Pakistan to do more to tackle cross-border terrorism, saying the country had “sheltered the same organisations that try every single day to kill our people”. Citing an erosion of trust, US secretary of state Rex Tillerson said future US support for Pakistan would be conditional on the country adopting “a different approach”. But analysts also warn the US policy is likely to push Pakistan closer into the embrace of China, which is investing more than $50bn in its southern neighbour as part of its “One Belt, One Road” project to create a new silk road of trade routes across the world. They point out that instead of going to the US, Mr Asif is travelling to China, Turkey and Russia. The official added: “We have put further discussions on hold and need to decide first, exactly how the [US-Pakistan] relationship can proceed productively”. Pakistan has proved an important ally to the US since the Cold War, when it helped support the mujahideen resistance against Soviet occupation of Afghanistan. But since then, the relationship has wavered. Washington has been torn between relying on the Islamabad government to provide a bridgehead to Afghanistan and the wider region, and criticising it for failing to tackle domestic terrorism. In recent years, Pakistan has allowed the US to use its territory as a supply route into Afghanistan and accepted increasingly frequent drone attacks by US forces. An official at the central bank in Karachi said, China’s role “is going to be very useful to avert a [balance of payments] crisis if there is one”. For Beijing, the relationship offers a faster route to the sea for goods from western China, a new area of business for the Xinjiang Production and Construction Corps and an ally to support it in its fractious relationship with India. But while Pakistan edges closer to China, analysts say it is unlikely to cut off ties completely with the US. HUSAIN HAQQANI, Former Ambassador, Pakistan: Well, the two most important things that I saw in President Trump’s address were a removal of deadlines. That to me is very important, because the Taliban have had a saying for years that the Americans have watches and we have the time. When you set deadlines and show urgency about leaving Afghanistan, they really know they can wait you out, and so can the Pakistanis who support them. So that I think is the change. It might actually be easier for the United States to get out of Afghanistan by saying, we do not intend to get out without doing what we really came here to do, which was to eliminate a terrorist safe haven. The second thing I found interesting was that instead of offering a carrot to Pakistan, which has been the past practice, and a little bit of reprimanding Pakistan, there was a clear acknowledgment of the fact that Pakistan is not a good actor in Afghanistan. It pains me to say that. I am a Pakistani. I served Pakistan as ambassador, but Pakistan has never been transparent about its attitude towards Afghanistan. And it has had an imaginary fear of India having a strong presence in Afghanistan. President Trump has implied that he will invite India into Afghanistan, bringing Pakistan’s nightmare to reality. And that may have some effect in changing Pakistan’s calculus that several billion dollars in American assistance did not do. LAUREL MILLER, Former State Department Official: Over an extended of period, the U.S. has provided substantial support the Pakistan, primarily security related, but that’s been dwindling quite considerably over past years and is expected to dwindle further. And s a consequence, it’s not really a major point of leverage with the Pakistanis anymore. The U.S. is not providing billions of dollars any longer to Pakistan. LAUREL MILLER: If you calculate the amount that has been provided over a long stretch of time, it’s billions of dollars. But on an annual basis now, it’s nowhere near that. It’s well under a billion dollars a year. By contrast, the Chinese provide much, much greater levels of support to the Pakistanis. And so, it’s quite notable that the Chinese have come out today, giving a boost of support for the Pakistanis. JUDY WOODRUFF: So, Ambassador Haqqani, is it really that serious leverage then? Because we hear Laurel Miller saying it’s not that much money. HUSAIN HAQQANI: Well, with all due respect to Laurel, here are the facts: Pakistan has received $43 billion since 1954. Pakistan built its nuclear program while promising not to build it. A long track record, Pakistan offered bases in which return Pakistan was supposed to have been compensated way back in the ’50s and ’60s. Only provided an intelligence base, didn’t provide the air base that was promised. The point is there is a pattern here. And that pattern is enabled by arguments like the one that, this is not as much money. JUDY WOODRUFF: Let me just stop you there. LAUREL MILLER: There is some leverage. I mean, look, the border can’t be closed. It’s a very porous border. It’s very difficult territory. So, the idea of literally closing the border is an impossibility. But certainly, there’s much more that the Pakistanis could do to close down the sanctuaries that Taliban leadership in particular enjoy in Pakistan. But, you know, it’s not that there’s no leverage on the Pakistanis. But the Pakistanis are not going to change their perception of their own national security interests based only on American pressure. There has to be something that attracts the Pakistanis to cooperate in a positive way with the United States. ISLAMABAD - The Senate Committee of the Whole House in its draft recommendations on the policy guidelines regarding post-Trump Afghan policy has proposed to the government to chalk out a “verifiable mechanism” to authenticate the allegations, both from Pakistan and Afghanistan, about cross-border terrorism. Foreign Minister Khawaja Asif informed the committee on Monday that Pakistan had suspended talks and bilateral visits to the US as a protest following the tough remarks of US President Donald Trump against Pakistan while outlining his plan for Afghanistan and South Asia, sources told The Nation. The special committee that held its in-camera meeting to finalise the draft proposals of the subcommittee, already formed by Senate Chairman Mian Raza Rabbani for policy guidelines on the situation arising out of the US president’s plan on Afghanistan as well as his diatribe against Pakistan. The foreign minister said that the Pakistan had taken the remarks of US president serious and added that US president’s policy on South Asia did not give any military role to India in Afghanistan. He was of the view that it was rather a role of economic development. He said that the US thought that India’s increasing economic activities in Afghanistan would ultimately help bring economic stability in the region, the sources informed. Asif also said that the US was not willing to accept Pakistan’s stance about India that the latter was involved in terrorist activities in Pakistan while using the soil of Afghanistan. The lawmakers during the meeting sought the details of the Indian sponsored terrorism incidents in Pakistan - including the ones carried out by India’s serving naval officer and RAW spy Kulbushan Jhadev. They also sought from the government a fact-sheet on US financial assistance received after 9/11, including the reimbursed amount of coalition support fund (CSF), and the financial loss incurred by the country while playing the role of a frontline state in the war on terrorism. Foreign Secretary Tehmina Janjua informed the committee that a three-day meeting, commencing from September 5, of Pakistan’s envoys, had been summoned to finalise a strategy over the situation. The Whole Committee would again meet today (Wednesday) as the lawmakers made some amendments in the draft of the policy guidelines and sent it back to the sub-committee. The sub-committee would present the final draft proposals today before the Whole Committee and the same would be adopted by the Upper House tomorrow (Wednesday) along with the passage of a resolution. The National Assembly is also set to adopt a similar resolution on Wednesday after which resolutions and input of both the houses will be placed before the National Security Council (NSC) to chalk out a policy. Senator Mushahid Hussain, a member of the subcommittee, gave a detailed briefing to the Committee of the Whole House and suggested the government to constitute a permanent Inter-Ministerial Task Force for an immediate response to any emergency situation vis-a-vis US policy shift. Pakistan should use the Quadrilateral Counterterrorism Coordination Mechanism (QCCM) forum to neutralise the US concerns, he said. He also advised the government to give a regional response to the United States with the help of Turkey, Russia, and China. Senator Mushahid Hussain Syed also appreciated formation of the committee, which was assigned to finalise a draft in four days but the task was accomplished within few hours. He said the parliament was working as per the aspirations of the people on all the important issues confronting the country. Senator Farhatullah Babar said both houses of parliament should adopt their own resolutions on the issue. “There is no harm if the National Assembly adopts the Senate resolution, but they should bring their own resolution,” he said. The foreign minister endorsed the idea. A geopolitical revolution is currently underway in south Asia. With diplomatic relations between the US and Pakistan souring in recent months, Islamabad is inching closer to Beijing. Ties between the two neighbours are set to become even stronger if the multibillion-euro "China Pakistan Economic Corridor" goes ahead as planned. But who stands to benefit the most? Our correspondents in Pakistan report. For a start, this won’t be the first time America has threatened to cut aid to Pakistan. In fact, there are at least two occasions in the past when it actually did but that failed to alter Islamabad’s behaviour. American aid first picked up in the mid-1950s, after Pakistan joined US-led military alliances, touching $3 billion in 1963 and then fell to virtually zero in 1980, in the wake of American concerns about Islamabad’s nuclear weapons programme. However, Pakistan’s nuclear ambitions did not change and this was, therefore, the first time an aid cut didn’t work. The Soviet invasion of Afghanistan changed everything and US aid was restored. It was virtually one billion right through the ’80s. But in the 1990s, after the Soviet retreat from Afghanistan and George Bush the elder’s refusal to certify Pakistan did not possess nuclear weapons, American aid collapsed. But, again, Pakistani behaviour was unaffected. Once again, 9/11 altered everything. Since then Pakistan has received more than $30 billion. But are things likely to be different this time? No and for one simple reason. America’s Afghanistan involvement reinforces US dependence on Pakistan for its supply lines. As American troop levels in Afghanistan surge Pakistan’s leverage over Washington will simultaneously grow. In these circumstances it’s hard to see Trump cut US aid. However, for argument’s sake, let’s suppose Trump is determined to act. In that event how much will a reduction in US aid affect Pakistan? Last year remittances from Pakistani expatriate workers totalled $19.8 billion. In comparison, the well-informed Congressional Research Service estimates that US aid amounted to $1.098 billion. No wonder Pakistan’s army chief, General Qamar Javed Bajwa, responded dismissively to the possibility that Trump could cut financial support. “We are not looking for any material or financial assistance from the USA,” he said. Indeed, it’s quite possible his country could carry on comfortably without it. The same is also increasingly true of the arms and weaponry Pakistan acquires from America. No doubt the United States has supplied F16 fighter planes, P3 Orion aircraft and AH-IF Cobra helicopters but, increasingly, a preponderant proportion of Pakistani arms are Chinese made. The Stockholm International Peace Research Institute believes that nearly 70% of its military supplies between 2012 and 2016 came from China. Once again, US leverage has diminished. America, of course, has enormous kinetic power which it could unleash. Washington could directly target jihadi bases by using its drones or, even, some repeat of the strategy to take out Osama bin Laden. But this would infuriate the Pakistani army and inflame public opinion. That’s why it’s unlikely to happen while US involvement in Afghanistan is dependent upon Pakistani supply-lines. Finally, Trump had nothing specific to say about Pakistani terror groups, like the Lashkar and Jaish, which target India. At best, they were covered generically. If he is serious about reforming this prodigal ally we should also question his silence on this front.
" By the end of 1993, the six-year-old Cross Border Humanitarian Aid Program--the one sustained U.S. effort to create an infrastructure and blueprint or the rebuilding of Afghanistan---was cut off....There were no roads, no schools, just a destroyed country--and the United States was washing its hands of any responsibility. It was in this vacuum that the Taliban and Osama bin Laden would emerge as the dominant players." Nelson Mandela is being remembered across the world (and political spectrum) for his heroic, life-long battle against apartheid and injustice in South Africa. But with all the accolades being thrown around, it’s easy to forget that the U.S., in particular, hasn’t always had such a friendly relationship with Mandela -- and that in fact, as late as 2008, the Nobel Prize winner and former president was still on the U.S. terrorism watch list. The sticking point was, in Mandela’s case, ideological. In the mid-'80s, as activists in South Africa and around the world began to agitate in earnest for Mandela’s release, the Reagan administration still saw communism as one of its primary enemies -- and defeating communism as one of its foremost foreign policy goals. That complicated the administration’s take on South Africa. The apartheid regime, it turns out, had supported the U.S. during the Cold War and had worked closely with both the Reagan and Nixon administrations to limit Soviet influence in the region, as Sam Kleiner chronicled in Foreign Policy last July. If India increases its involvement in Afghanistan, Pakistan will strengthen its opposition to pushing the Taliban into negotiations. Pakistan will continue supporting the Taliban to prevent an alliance between Afghanistan and India. Islamabad and Washington's threats against one another will limit the punitive measures both sides impose. ...Pakistani militancy is as much a problem for Islamabad as it is for Washington. Pakistan has been working to circumscribe the militant groups operating within its borders since long before Trump rebuked the country in an address Aug. 21. In April 2016, for example, Pakistan's Inter-Services Intelligence agency proposed plans to deradicalize scores of militants and bring them more under the control of the country's security apparatus. As part of that campaign, Islamabad allowed the Jamaat-ud-Dawa — a charity organization under U.N. sanctions for its links to the militant group Lashkar-e-Taiba — to form a new political party, the Milli Muslim League (MML). Combating militancy with politics is easier said than done, though. The process has been rife with controversy, exposing the historical divide between Pakistan's military and civilian leaders. Pakistan's Interior Ministry asked the country's electoral commission to block the MML's registration over concerns that the party's ties to and ideological affinities with Lashkar-e-Taiba, the group blamed for the deadly attacks in Mumbai in 2008, would invite criticism from foreign governments. But though the MML's registration is still pending, it hasn't let administrative matters get in its way. The party's candidate, officially running as an independent, placed third in the recent special elections in Lahore, and the MML plans to participate in Pakistan's general elections next year as well. The MML's emergence demonstrates the Pakistani army's commitment to addressing militancy in the country. Its priorities in this endeavor differ from those of the United States, however, and as it tackles the problem, Islamabad will continue to resist pressure to attack the militant groups Washington has targeted. In Pakistan's view, after all, all militant groups are not created equal. Groups such as the Afghan Taliban and its ally the Haqqani network help Pakistan's army advance its objectives in Afghanistan. They are assets to Islamabad's foreign policy, and the Pakistani government treats them as such. Islamabad's accommodations, moreover, discourage these groups from attacking Pakistan, enabling the country to focus its scarce resources on the organizations that pose a more serious threat to its security, including the Tehrik-i-Taliban Pakistan and the Islamic State's Khorasan chapter. In fact, Pakistan already has started employing some of these deterrents since Trump made his address on Afghanistan in late August. Islamabad turned down a visit from the U.S. acting assistant secretary of state for Central and South Asia, who was leading a delegation of officials eager to hash out U.S.-Pakistan coordination in Afghanistan. Pakistan's foreign minister instead embarked on a three-nation tour to China, Turkey and Iran in hopes of increasing their diplomatic support for his country. He later delayed a meeting originally scheduled for August with his U.S. counterpart, Rex Tillerson, until the week of Oct. 2. More recently, Pakistan announced that it would adopt stricter protocols on U.S. diplomats to require a mutual agreement before American officials could visit the country and to prohibit lower-ranking U.S. functionaries from meeting with high-level Pakistani officials, such as the prime minister. The country also has floated the possibility of shutting down NATO supply routes, though it probably won't follow through on the threat unless Washington first makes good on one of its own. As President Donald Trump's administration searches for an exit from the war in Afghanistan after over 16 years of U.S. involvement, the United States is making another high-level diplomatic outreach to Pakistan. On Dec. 4, Defense Secretary James Mattis arrived in Islamabad for meetings with Pakistan's top military and civilian leaders, including Prime Minister Shahid Khaqan Abbasi and army chief Gen. Qamar Javed Bajwa. In these meetings, Mattis' mission is to convince Pakistani leadership to do more to attack militant safe havens and, in the long term, facilitate peace talks with the Taliban to end America's longest-running war. But Pakistan's leaders won't be easy to convince. In the discussions, Mattis adopted a conciliatory approach by acknowledging Pakistan's sacrifices in the fight against terrorism, but he also reiterated Washington's demands. The United States has called for Pakistan to take more action against the militants that find refuge on its soil. Among them, crucially, is the leadership of the Taliban operating in Afghanistan. Diplomatic outreach is just one of the ways the United States is trying to compel a change in Pakistan's behavior. Military aid is another. Last week, the latest report from the U.S. Congressional Research Service showed that the United States would further trim its annual aid package to Pakistan. In 2017, Washington doled out $526 million to Islamabad in exchange for its cooperation, which includes providing overland NATO supply route access through Pakistani territory. In 2018, that number is projected to drop to $345 million. The United States has gradually trimmed the amount of aid it provides to Pakistan over the last several years. In 2014, for example, U.S. aid to Pakistan amounted to nearly $2.2 billion. For now, it appears that the U.S. strategy is to pursue incremental punitive measures against Pakistan, rather than pursue harsher tactics such as revoking Pakistan's non-NATO major ally status or cutting aid altogether. The United States isn't fully ready to bring out the stick, but the carrot is slowly being drawn back. Pakistan wants to maintain its relationship with the United States, but it's willing to suffer the cost of deteriorating ties. From Islamabad's perspective, supporting the Taliban follows a rational calculation to ensure post-conflict Afghanistan is friendly to Pakistani interests. Support for Taliban leaders is aimed at denying Pakistan's rival, India, a foothold in Afghanistan. Because of this, Mattis' visit probably won't convince Pakistan to change its behavior, especially considering the Trump administration's calls for India to play a greater economic role in Afghanistan. Pakistan is accusing the United States of "exporting war" and "perpetual instability" in South Asia, and of "speaking Indian language" in bilateral dealings. The allegations leveled by National Security Adviser Nasir Janjua again underscore the deterioration in Islamabad's relations with Washington. It also strengthened reported suggestions the two countries are on a collision course, particularly since August when President Donald Trump unveiled a new policy for Afghanistan and South Asia. The U.S. policy accused Pakistan of harboring terrorist groups, including the Haqqani Network, that are fueling the Afghan war and plotting attacks against India. It also focused on using intensified military means to defeat the Afghan Taliban and called on New Delhi to expand its role in Afghanistan, ignoring Islamabad's opposition and objection. Janjua reiterated Pakistan's objections while addressing a security seminar Monday in Islamabad. He rejected terror allegations against his country, saying the United States was scapegoating Islamabad for failing to stabilize Afghanistan. "Pakistan made irrelevant in Afghanistan, scapegoating [and] lumping all the blame [on Islamabad], speaking Indian language on every subject, planing to downgrade all ties, U.S. lawmakers are asking to designate Pakistan as a state sponsoring terrorism," Janjua said. He went on to complain that despite being a non-NATO ally, Pakistan's attempts to procure U.S. defense equipment have been blocked and its nuclear weapons program is being opposed. "India has become the preferred ally in Afghanistan and the military solution [for ending the war in Afghanistan] is again given the preference," he noted. Janjua said the way forward for the United States in Afghanistan is to focus on finding a political solution rather than relying on military might. Washington, he added, should appoint a "political authority" to Afghanistan as empowered as its military commander in the country to promote a political resolution. Alleging the U.S. wants to contain China's rise and the resurgence of Russia in the region, Janjua said Washington is opposed to Islamabad's multi-billion dollar economic corridor project being funded by Beijing under its global Belt and Road Initiative. "To mitigate the challenges — China and Russia — and to ensure self-survival, [the] U.S. is exporting war and perpetual instability in South Asia," he said. "India is being supported and encouraged to promote U.S. regional interests. " There was no immediate reaction from U.S. officials to Janjua's statements. U.S. Defense Secretary Jim Mattis earlier this month visited Pakistan where he called on civilian and military leaders to redouble their efforts against terrorism. Officials revealed few details of the talks, but described them as positive and productive, dismissing the element of confrontation. But on Monday, Janjua, who attended the meetings with Mattis, underscored the prevailing mutual disagreements and tensions. The Trump administration has also warned it may designate certain officials of the Pakistani spy agency, ISI, as global terrorists for their ties to militant groups, including Haqqanis. Just days before Mattis' visited Islamabad, the CIA director warned if Pakistan failed to act decisively against the Afghan Taliban and Haqqanis, the United States would unilaterally do so. After returning from my recent trip to Kabul, many people that I met back home were concerned about Pakistan’s image in Kabul — opportunities for cooperation and the intensity of anti-Pakistan sentiment in Afghanistan. My answer to them was simple. Pakistan, socially and politically, has friends in Kabul and the opportunities for Pakistan are many, if we try. Here are the facts: in terms of social relations, every day between 2,000 to 3,000 visas are issued from Kabul alone to Pakistan. The numbers of visas issued from the rest of Pakistani consulates are additional, that may vary from 800 to 1,000 as per Pakistani officials. The Afghans who travel on these visas are usually travelling for health and educational reasons. The patients who travel to Pakistan feel more comfortable in Pakistan than any other country. The reasons being obvious, most of them share the same culture, language, religion and most of the times clans and tribes as well. Also that many of them have been frequently travelling to Pakistan for the last many years. Majority of them have their families in Pakistan that either migrated during the Soviet-Afghan war or later during the last decade. These Afghans who come to Pakistan also find Pakistan economically affordable as compared to other countries in the region. It is to be kept in mind that most of the Afghans live in abject poverty and lack basic health facilities. Therefore, Pakistan is the logical and economical option. Interestingly almost every third person that I met, Dari (Persian spoken in Afghanistan) dominated, Kabul could speak and understand Urdu. Most of the people who could speak Urdu were young Afghans. They had either been educated or had spent considerable time doing jobs in Pakistan. They have good memories attached to the neighbouring country which welcomed and hosted them. After meeting the young Afghans, I realised that when it comes to Pakistan-Afghanistan relations, higher education is Pakistan’s strength. While Pakistan has itself improved the quality of higher education, it has worked on giving scholarships to Afghan students who want to pursue their academic ambitions. Islamabad is generally multi-linguistic city and multi-ethnic as well. One can find Hazaras, Persian speaking, and Pakhtuns in large numbers in different universities of the capital. This naturally gives the Afghan students a conducive environment to blend in. Last year the Higher Education Commission announced scholarships to 3,000 Afghan students and a large number of those are females. These young students are the bridges and ambassadors of peace between Pakistan and Afghanistan, and a huge potential for the future of democracy and peace in Afghanistan. The tapping of this potential needs the Foreign Office’s attention now more than ever. A lot of Pakistanis are concerned about anti-Pakistan sentiments brewing in Kabul. The concerns are, no doubt, justified and show Pakistan’s concern and urge to improve its relations with the people of Afghanistan. After all, Pakistan has hosted millions of Afghan refugees over the decades and expects that the refugees become the ambassadors of goodwill between the two countries when they return to their home country. For that Pakistan too needs consideration on smooth transition of refugees from Pakistani soil to Afghanistan. It doesn’t need to be rough and loaded with blame. That ruins the very spirit with which Pakistan hosted them for decades. Coll’s majestic Ghost Wars tracked the CIA’s adventures in Afghanistan from the Soviet invasion, in 1979, through the eve of the September 11 attacks. Reading it was a gut-wrenching experience, with momentum building toward a climactic, dreadful outcome. Reading Directorate S is more like watching a slow-motion video of a truck going off a cliff, frame by agonizing frame. And no semblance of closure ever comes. Coll may have embarked on a full accounting of the war to its end, but history didn’t cooperate. Obama announced a plan in 2014 to conclude America’s combat operations in Afghanistan. By the time his tenure in the White House wound down, the generals had persuaded him to leave thousands of troops in the country indefinitely. Within months of taking office, his successor—who had campaigned on scaling back America’s overseas adventures—accepted a Pentagon plan to add thousands more U.S. troops. In a speech announcing his strategy, Donald Trump ran through a familiar litany of complaints about Pakistan, capped by the demand that the country end its support for the very groups America is fighting in Afghanistan. He also called on India, Pakistan’s archenemy, to take a greater role in Afghanistan’s internal affairs—a threat evidently intended to scare Pakistani officials into backing off. Frustration mounted as the year turned, and an outraged presidential tweet denouncing years of “nothing but lies & deceit” was followed by a suspension of security assistance to Pakistan. What the repercussions might be was anybody’s guess. Coll sums up the war as a “humbling case study in the limits of American power.” But a decade and a half after the first shots were fired, the U.S. president wasn’t exactly projecting humility, much less a newly coherent American policy. The Afghan government played down the report, saying it controls most areas. But recent attacks claimed by Taliban and Islamic State group militants have killed scores in Kabul and elsewhere. The BBC research also suggests that IS is more active in Afghanistan than ever before, although it remains far less powerful than the Taliban. How much territory do the Taliban control? The BBC study shows the Taliban are now in full control of 14 districts (that's 4% of the country) and have an active and open physical presence in a further 263 (66%), significantly higher than previous estimates of Taliban strength. About 15 million people - half the population - are living in areas that are either controlled by the Taliban or where the Taliban are openly present and regularly mount attacks. "When I leave home, I'm uncertain whether I will come back alive," said one man, Sardar, in Shindand, a western district that suffers weekly attacks. "Explosions, terror and the Taliban are part of our daily life." The extent to which the Taliban have pushed beyond their traditional southern stronghold into eastern, western and northern parts of the country is clearly visible from the BBC study. Areas that have fallen to the Taliban since 2014 include places in Helmand province like Sangin, Musa Qala and Nad-e Ali, which foreign forces fought and died to bring under government control after US-led troops had driven the Taliban from power in 2001. More than 450 British troops died in Helmand between 2001 and 2014. In the areas defined as having an active and open Taliban presence, the militants conduct frequent attacks against Afghan government positions. These range from large organised group strikes on military bases to sporadic single attacks and ambushes against military convoys and police checkpoints. "Most of the generals ... say in public, 'There's no military solution to this war,'" Coll says. "This is at best a grinding stalemate. And yet, we prioritize military action at the expense of diplomacy, at the expense of negotiating." We're in a stalemate. We're in a muddle. We have something like 10,000 troops there, maybe growing a little higher over the next year or so. There are actually two wars that we're fighting in Afghanistan, I'm not sure most Americans appreciate that. One is a direct combat war against remnants or elements of the Islamic State that have popped up in eastern Afghanistan. There President Obama initiated, and President Trump continued, a return to direct combat in Afghanistan, after previously, at the end of 2014, saying we were done with the war. The second war is the one that we transitioned to in 2014, which is to advise and assist the Afghan security forces — the Afghan army and police — in their combat against the Taliban, an indigenous Afghan movement that we're all too familiar with after all these years, which controls significant swaths of the Afghan countryside. So our muddled war policy is that we're directly at war with the Islamic State, but we're not directly at war with the Taliban, except to the extent that we're supporting Afghan forces. But what that means as a practical matter is that we're their air force; we have the planes. So when the Afghan forces need bombs dropped on Taliban positions, that's generally us doing the bombing. The number of bombs that we've been dropping on Afghanistan has increased significantly in 2017 over the year before. What's happened, where we are now, is that there are 25,000, 30,000 Afghan Taliban guerrilla soldiers fighting the war, going in and out of Pakistan, but fighting the war on Afghan ground. Those units include these suicide bomber, truck bomber units that occasionally kill scores of innocent civilians in Kabul, as we've seen over the last couple of weeks, a couple of horrific attacks. And then inside Pakistan, the effort by the Pakistani Taliban to overthrow their government has really faltered. The Pakistani state has restored security over the last couple of years to a significant degree. Not entirely — I think 500 civilians died in terrorist attacks in Pakistan last year — but [that's] compared to many thousands a few years ago, when the country looked like it might collapse. When the Bush administration went into Afghanistan right after September 11, in those conversations, they said, well, what are our really important, vital interests that justify this war? And they said there are really two. One is al-Qaida. We've got to disrupt them, got to destroy them. And the other was, we've got to keep Pakistan stable so that its nuclear weapons don't fall into the wrong hands. the Obama administration came back to the same question of war aims that had really befuddled the Bush administration. The reviews concluded that there were really only two vital interests in Afghanistan, the kinds of interests that would justify putting young American men and women in harm's way. One was al-Qaida and the other was the security of Pakistan's nuclear weapons. But in 2009, when these reviews were taking place, neither of those problems really existed in Afghanistan. Al-Qaida had left Afghanistan and was now in Pakistan in a serious way. And of course, Pakistan's nuclear weapons were across the border. So they talked themselves into fighting a kind of indirect war. Well, we'll go to Afghanistan, we'll fight the Taliban to prevent Afghanistan from collapsing because if it collapsed, al-Qaida would come back. And the general instability of that war might mess up Pakistan and jeopardize the security of its nukes. So it's a very convoluted conclusion. And at the heart of it was President Obama, who really did not want to fight a war against the Taliban. You know who our boss is, President Obama. Who are you (Taliban rep Tayyab Agha)? We don't even know that you know who Mullah Mohammed Omar is or that you have anybody's authority to be doing this. How can you prove to us that you have authority to really negotiate toward an end to the war? And so they work out these secret protocols where he places messages in the Taliban's media system in the name of Mullah Mohammed Omar. He brings them a proof-of-life video of Bowe Bergdahl, the Army specialist who had been captured by part of the Taliban, the Haqqani network. And even at one point, he brought a letter from Mullah Mohammed Omar addressed to President Obama. It was sort of on Taliban stationery. But it wasn't, you know, very formal stationery. And the gist of the letter was, Mr. President, you know, I've had to take a lot of hard decisions to talk peace. You should take some hard decisions. Let's get this done. And the negotiations went on for, let's see, three years or so until they reached a point where there was a deal to open a Taliban office in Qatar, which was the step that would proceed what the Americans hoped would be very serious negotiations to end the war and find a settlement. And the whole negotiation over that office was a fiasco. It alienated President Karzai. It blew up and the Taliban walked away from the whole deal. In Afghanistan, for some reason, we just don't seem to have the capacity - haven't had the capacity to do that. And I do fear that the Trump administration, which doesn't seem to think the State Department is a very important part of its foreign policy, is pretty much the last administration that's going to take on the really complicated and uncertain challenges of that kind of negotiation. Sen. Lindsey Graham (R-S.C.) during a visit to Islamabad said that he believes President Trump should meet with Pakistani Prime Minister Imran Khan in order to reset relations, the latest signal that the relationship between the two countries could be warming. “After the end of the occupation, Afghans should forget their past and tolerate one another and start life like brothers. After the withdrawal, we are not seeking a monopoly on power,” Shaheen said. “We believe in an inclusive Afghan world, where all Afghans can see themselves in it,” he added. He also said the Taliban envision a reformed police and local police forces, without offering specifics. Afghanistan’s local police forces have been widely criticized as deeply corrupt and intimidating of the local population. In turn, Afghan President Ashraf Ghani assured Afghans that no deals would be made without the Kabul government’s awareness and full participation.